I realize that the Airstream is the very high end of travel trailers but I am not so sure this very "traditional" and "nostalgic" design is the right compliment to the Tesla. I saw my first Tesla, also a Model X, on Sunday. 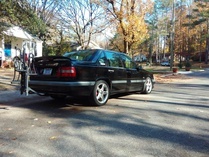 It was black with black wheels & tinted windows. I had no idea what it was, other than stunning, but was glad I got close enough behind to read the tag...then sad when I later googled it & saw the $75k sticker. That isn't a bad price when you consider the things that most Tesla owners cross shop. Teslas are stil rich man's toys, and as such, they are competitively priced. http://www.zerohedge.com/news/2016-09-06/how-elon-musk-used-broken-marketplace-play-us-all Spoiler Alert: You already bought one. Enjoy it when you get to see it. Please. Zero Hedge as a reputable news source? No thanks. I had no idea they were that pricey. I see quite a few of them rolling around Manhattan. Dr. Hess wrote: Tesla's Financing: http://www.zerohedge.com/news/2016-09-06/how-elon-musk-used-broken-marketplace-play-us-all Spoiler Alert: You already bought one. Enjoy it when you get to see it. If you aren't able to fund your own space agency and develop the technologies to move the stick forward because of a political quagmire you have to find a way to pay someone else to do it for you. There is no free lunch. The military buys hammers and nuts for $600 each to make up the difference for getting a good number on the contract. The EPA pays Elon in loan percentage differences. Same shell game. You want the goods without the risk you provide the dollars. Note that the headline this week was not "NASA rocket explodes on launchpad". No congressional hearing will take place. Loans, grants, investors. 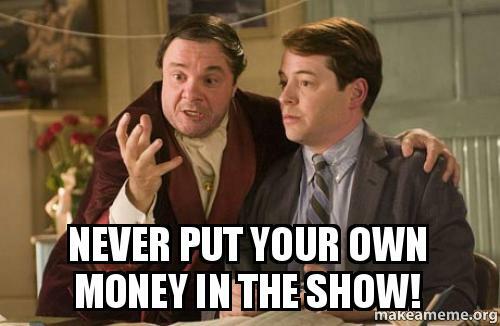 You never put your own money in the show!!!! There are a few smart people that can capitalize on their ideas (WearyMicrobe I'm looking at you) but a large majority of the people who make real money, aren't that. They know how to capitalize and sell others peoples work and ideas. OK, linky fixed. Maybe we should find a REAL source of news, like CNN? HAHAHA, oh, that's funny. CNN is more plausible than Zero Hedge and that coming from someone that never gets news from CNN. Seriously you're taking a banned for insider trading pro Putin Russian mouthpiece with an extremist conspiratorial mindset. There's nothing to be gained from taking their extremely biased "news" seriously. Might as well read Russia Today and cut out the middle man and flowery writing. I'd say they're a very ugly CUV. The model S is an attractive car, but when you stretch it out of proportion to try to cover a vehicle as tall as the model X it just doesn't work. Dr. Hess wrote: OK, linky fixed. Maybe we should find a REAL source of news, like CNN? HAHAHA, oh, that's funny.